The Tony Burns Memorial Scholarship has been set up by the Wisconsin Ice Arena Management Association to help grow the networking and learning experiences within the ice rink industry that Tony so dearly loved. The scholarship provides a free WIAMA 2019 Spring Conference Tuition and one room at Spring Brook Resort vacation home with the WIAMA board. 1 Full Conference = $200 and 2 nights charged at $100/ night for a total value of $400. A portion of the proceeds from the annual golf outing at the Spring Conference will go towards the scholarship. Proceeds being identified as after the cost of golf/ dinner/ prizes. 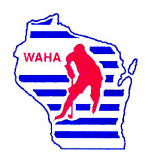 Criteria for this scholarship: In a one page essay please share with us why your rink is a good candidate to attend WIAMA spring conference? After the conference we would like to get feedback as to what the new person liked and disliked to help us continue to grow, including gauging interest on attending future WIAMA Spring Conferences.